Murder by Gaslight: The Borden Murders, 120 Years Unsolved. 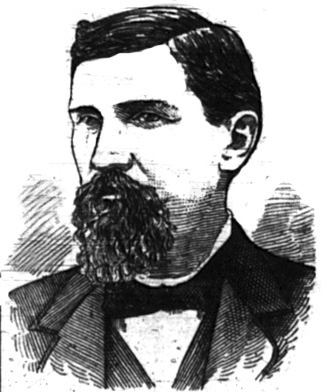 120 years ago today, August, 4, 1892, the bodies of Andrew Jackson Borden and Abby Durfee Borden were found brutally hacked to death in their Fall River, Massachusetts home. The prime suspect of this brazen, daylight axe murder was Andrew’s daughter and Abby’s stepdaughter, Lizzie Borden. When a jury found Lizzie not guilty the following June, it raised a question that has been hotly debated ever since: did Lizzie Borden get away with murder? Lizzie Borden Took an Axe…Or Did She? - A summary of the facts surrounding the Borden murders, along with a list of alternative theories. Did Lizzie do it? – A poll taken in January 2010 showed that 73% of Murder by Gaslight readers believe that she did. 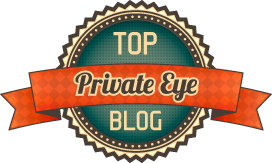 This post includes a list of alternative suspects that have been proposed over the years. 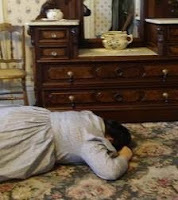 Abbey Borden Crime Scene – The most interesting website for personal information on Lizzie Borden and the city of Fall River is Lizzie Borden Warps & Wefts. This post is a link to a slide album there of the crime scene as it was in 1892 compared to the restored house today, particularly the scene of Abbey Borden's murder. 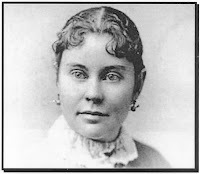 Lizzie Borden’s Confession - A little known story about a counterfeit typewritten “confession” by Lizzie Borden that, for a brief period in the 1950s, was believed to be authentic. Startling Parallelisms. 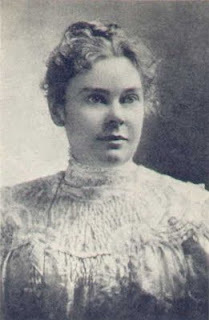 – Fall River’s other daylight axe murder, the killing of Bertha Manchester, occurred just five days before the start of Lizzie Borden’s trial. It could not help but have an effect on the prosecution of that case. Two journals kept by Lizzie's lawyer Andrew Jennings (trial and investigative notes pertaining to the case) were found and donated to the Fall River Historical Society this past year by a relative of Mr. Jennings after his death in 2011. While nothing substantial was found in them, the notes contain many previously unknown tidbits and interviews with various persons, some associated with the Borden murder case. Two important things of note found in the notes: conversations with Andrew Borden and Mr. Jennings about legal and personal matters---Borden seems hardly the cold, tight fisted old miser he has long been portrayed as...and second, that Mrs. Borden's body was moved slightly when the crime scene photos were taken; she was found partly shoved under the bed according to notes.